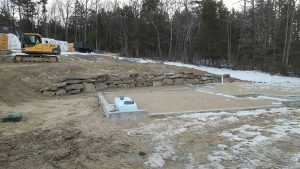 We work on projects large and small – from residential site work and foundation needs, septic systems and drainage projects, to commercial development and municipality roadways. Please take a look at some examples of our projects in our Portfolio. We handle full site work from concept and design to final site preparation, and everything earth-work related in between. 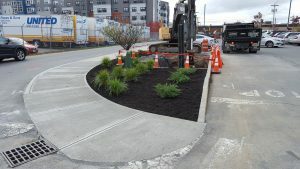 We have packages available for underground utilities and drainage systems, so you only need to work with one contractor through your entire project. Our team is the best – call us today to learn more about our full service excavating! 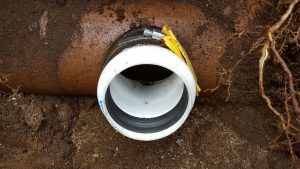 We repair, upgrade and install new drainage systems at your existing property or new construction project. The right design and layers of materials is critical to drainage and grading effectiveness. Let our experienced crew remedy that soggy lawn for you today! We have completed hundreds of development installations for roadways, access and foundations. 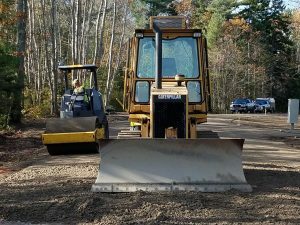 Our experienced team of equipment operators and project managers are skilled in reviewing plot plans and grading specifications so you know you will have the outcome you expect. 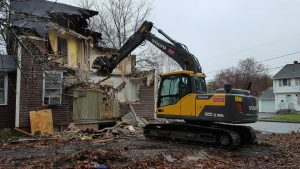 Sometimes you need to remove an old, unsightly building or overgrown tree growth before you can utilize your land the way you want to. We have the equipment to quickly demo and clear your lot or large land parcel so you can have the access you desire! We can install, adjust and repair drain and sewer manholes, and catch basins and drain channels, for any new project or repair need you have. 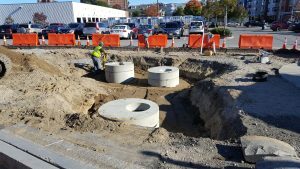 We work with general contractors, developers, condominium associations and maintenance staff to install, repair and replace manhole and drainage systems, and our customers return because we are highly-qualified, organized and dependable.